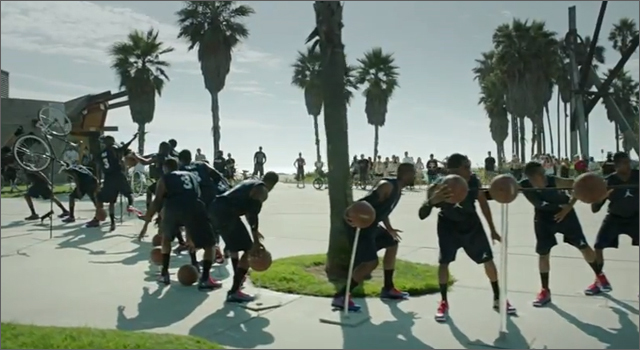 Nike literally brought Venice Beach to a standstill to shoot a video promoting the launch of the new Jordan CP3.VI. The ‘Cut Through LA’ shoot featured dozens of Chris Paul body-doubles (but, not the real one), posed as if they are different frames of one continuous play. The camera passes alongside the lookalikes as they dribble, pass (to themselves, of course), have a caricature done, grab an apple and finally go up for a backboard shattering drunk. The video was created by Wieden+Kennedy, and directed by Andreas Nilsson.